The City of Hubbard is looking for volunteers for the senior van program! Do you have a few hours to spare during your week? 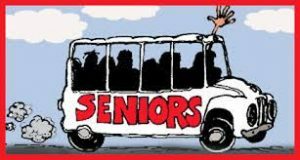 Drivers are needed for the senior van program, which runs Tuesday and Thursday from 9:00 am to Noon and Friday from 9:00 am to 3:00 pm. If you have an interest in helping others and enjoy driving, why not sign up! 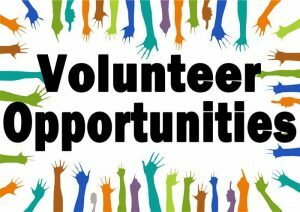 Volunteers may call 330-534-3090 to get placed on the substitute list. When drivers are not available for their shift, you have the option of filling in for them. Down the road, if a shift becomes permanently available, you may voice your interest in filling the vacancy. Either way, your generosity of helping our seniors is greatly appreciated. Call the Mayor’s office for more information or stop by the Senior Center on Tuesday, Thursday or Friday to see the program in action! 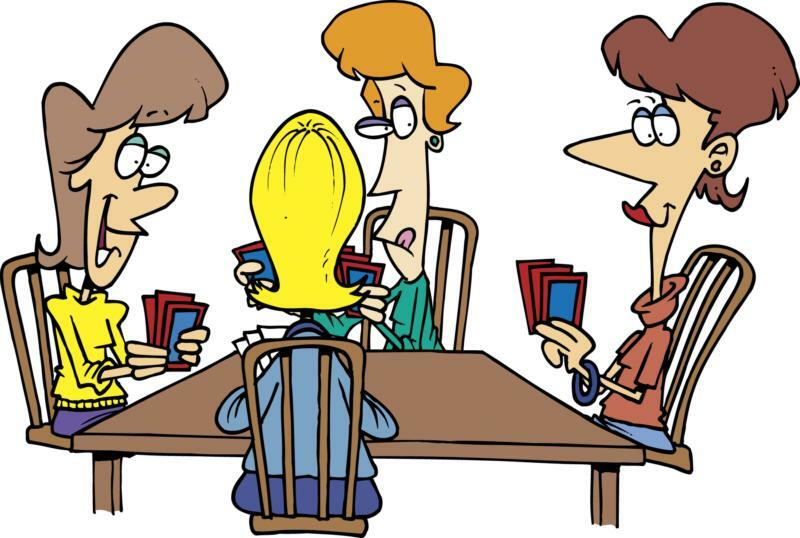 The Senior Citizens Card Club meets every Thursday at 9:00 AM to play a variety of card games. For more information, stop by or call the Senior Center Thursday after 9:00 AM. Join the fun with friends and new acquaintances! If you know of any potholes within the city limits, please call Service Director Dan Livingston at 330-534-3090 to report the location. 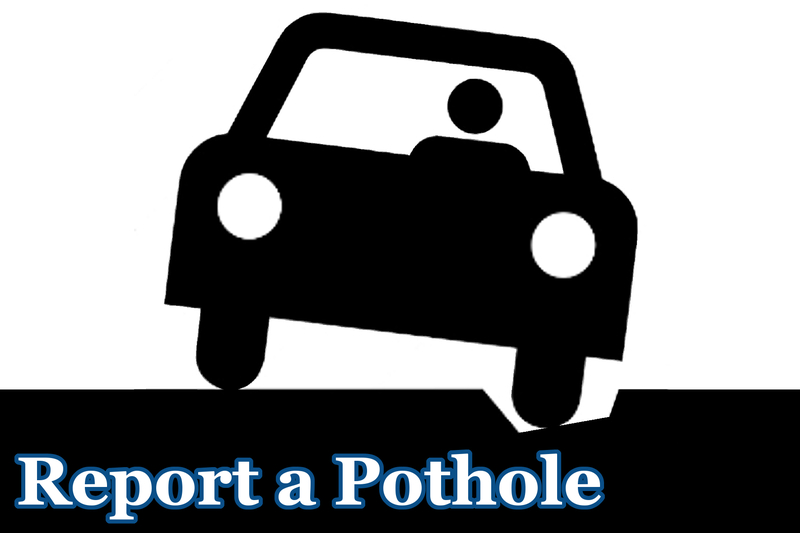 The street department will do their best to patch the holes as soon as possible. CARE will be holding a Support Group event on Thursday, April 25th, at the Hubbard Public Library, 436 West Liberty Street. Refreshments will be served at 6:30 pm, with the meeting beginning at 7:00 pm. What is CARE? 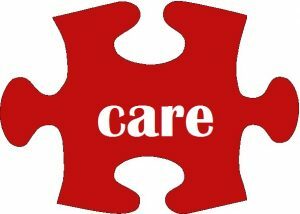 CARE stands for Community Awareness Response and Education. CARE is available for families and friends of the addicted. CARE is extending a special invitation to those who have lost loved ones and family members to the opioid crisis in our region. The meeting will be a time of community awareness and education on the epidemic of overdose in our community, in addition to a time of substantial comfort for the grieving. The event is sponsored by the Hubbard City Transformation Team (CTT). CTT members include clergy actively serving churches in our community, along with some police and city administration. If you have any questions, please feel free to call (330) 534-3090 or (330) 531-1897 for more information. Please join us for complimentary pizza, pop and coffee as we come together to address the epidemic of overdose through awareness, education and action. The City of Hubbard is in need of three residents to be appointed to its Architectural Review Board. Each member shall be appointed for a term of two years. One member of the Architectural Review Board shall be a registered architect and the second member shall be a landscape architect, architect or registered engineer, and the third shall be a person skilled in the general field of aesthetics and design. There shall be a Chairman of the Board appointed by the Mayor from the three Board members who shall serve no longer than two years consecutively. The Planning Commission shall determine and advise the Architectural Review Board on the schedule of meetings in order that applications can be processed expeditiously. The Architectural Review Board shall assist and advise the Planning Commission on the design, amenities, quality, relationships to natural features, and all other aspects of a site development plan which relate to the appearance of an entire project, all of its parts, and its surroundings. All standards, regulations and criteria, contained in the zoning ordinance, subdivision regulations and building codes of the City of Hubbard shall be considered by the Architectural Review Board in its review. No person appointed to the Architectural Review Board shall participate in the review of, or give advice upon, any work in which he/she, his/her partner or professional associate or associates has any direct or indirect interest. Thank you in advance for your interest in serving the community. The City Hubbard, along with the City of Niles and the City of Girard have been awarded monies for Owner Occupied Housing Rehabilitation and Home Repair Programs through the State of Ohio’s Community Housing Improvement and Preservation Program (CHIP). The program’s purpose is to help homeowners rehabilitate and repair their homes. These funds assist homeowners in making their homes safe, sound and secure. 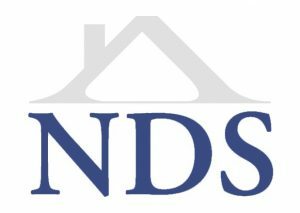 Neighborhood Development Services will administer the program for each community. The grant is expected to fund the rehabilitation of several homes with both large and small repairs. To be eligible for the program residents must own and occupy their home, and meet income eligibility requirements set by the state. Homeowners accepted into the program are eligible to receive a new furnace, electrical upgrades, roof repairs and more. Applications are currently being accepted at Neighborhood Development Services. Homeowners interested in applying for the program should contact Marianne in the Hubbard Mayor’s Office at 330-534-3090 or stop by for an application. Do You Check For Leaks? As a precaution for receiving an extremely high utility bill…Check all toilets and faucets for leaks! Leaky toilets and faucets are the biggest cause of wasted water resulting in large bills! The most common source of leaks is the toilet. Check toilets for leaks by placing a few drops of food coloring in the tank. If after 15 minutes the dye shows up in the bowl, the toilet has a leak. Leaky toilets can usually be repaired inexpensively. Toilets can account for almost 30% of all indoor water use, more than any other fixture or appliance! Faucet leaks can start in various ways and they can appear in more places than just at the spout. 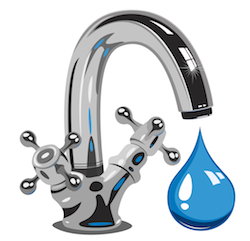 If your household water usage is higher than normal look for less obvious faucet leaks that may be wasting water. Check for faucet leaks in the following three locations. If you suspect…MORE the faucet may be dripping you can use a paper towel or small container to test it out. Dry the sink up after using the faucet and place a paper towel under the spout and check back later to see if it wet. Also, a cup or bowl would work if you can get it in the right position and let it sit a little longer. If the faucet leaks at the spout you might need to change the washers on the faucet or replace the faucet cartridge to repair the leak. To check for a leak at the base of the faucet you will need to start by drying up all of the standing water. Then turn both handles on (or…MORE if it is a single handle faucet turn it in both directions) and see if water leaks around the faucet or at the top of the sink area. A leak like this will usually be caused by an o-ring that has dried up or a worn out stem or cartridge. To repair the leak you can change out the o-ring or the stem or cartridge. To check for a leak under the sink, start by taking everything out from under the sink and thoroughly drying everything off. Now you can run a bit of water to see where it is leaking from. Sometimes a faucet will have to be…MORE turned on all the way before it will leak and check both with hot and cold sides on. The leak can be very small, so if you suspect one but can’t find it, try leaving some dry paper towel all around the base of the vanity for a day or so and then check for water marks on the paper towels. If the faucet leaks from underneath and you can verify that it is not the flex lines or the drain line leaking it could be a sign that you will need a new faucet. Changing the cartridge or the faucet stem can sometimes remedy the leak from underneath if you want to try to repair it. The Hubbard Union Cemetery is again offering service to maintain the area in front of a head stone to begin in 2018. The cemetery employees will plant flowers (annuals) prior to Memorial Day. The plantings will be approximately fourteen inches deep and covering the width of the headstone. The flowers will be watered and fertilized during the summer months and removed after the first frost. Prior to Christmas, a wreath with a bow and stand will be placed in front of the headstone. 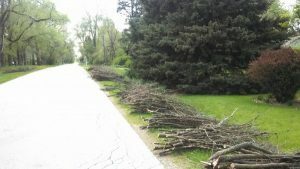 The total cost for this service is $300.00 and the service will be for a 5-year period. This cost is for double headstones in the cemetery (a double headstone is over two burial lots). 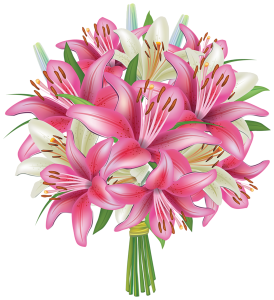 The service for a single headstone is $150.00 for a 5-year period (a single is over 1 burial lot). Payments for this service are Non-Refundable. Please contact Jeff Graban, Hubbard Union Cemetery for further assistance at (330) 534-1633.